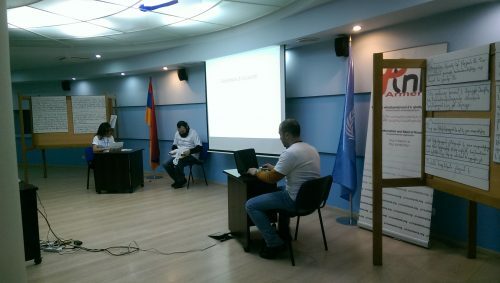 The “Tolerance and homophobia” forum-theatre took place on November 20th at The UN Armenia office through “Public information and need of knowledge” NGO’s initiative. The event was organized in a performance format. It starts from a controversy between 2 Facebook users, one of them was the incarnation of Tolerance, the other one – Homophobia. The character which incarnated the “Google” search was intervening in the debate of the Facebook users, who answered the questions’ raised by debaters. 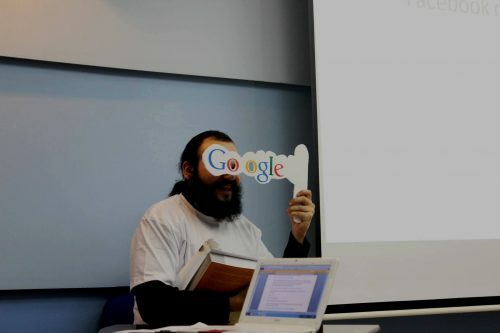 The audience had the opportunity to be involved in the discussion, to comment on it, to raise questions, and also to like or dislike the participants’ statements. The participants left their written comments and approvals after the discussion.